The Nevada State Athletic Commission has medically suspended nine athletes who competed in Friday’s “The Ultimate Fighter: Live Finale” event. 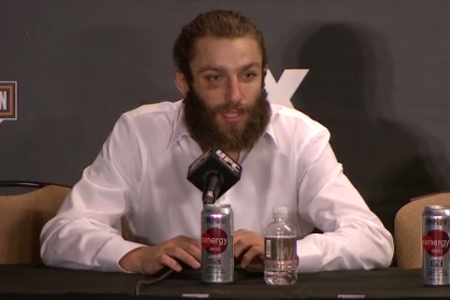 Michael Chiesa (Pictured) not only left Las Vegas with a six-figure UFC contract in tow, but the lightweight was also issued a six-month medical suspension following his quick submission victory over Al Iaquinta. However, the bearded brawler could be back in action sooner if a doctor clears his injured left hand. Pat Schilling was levied the same lengthy ban until his right arm gets examined. The Pearl at Palms Casino Resort in Nevada hosted last weekend’s bash.